Imagine being the organizer for really major event – the King of Hungary’s coronation. For years it had been held in Esztergom, Hungary. But in 1563 when it was time to crown Maximilian as the new Hungarian king, Szekesfehérvár was under the control of Hungary’s bitter enemy, the Ottoman Turks. The solution? To move the ‘Red Carpet Event’ to Bratislava, known then as Pozsony, considered to be a safe heaven thanks to its double fortification wall. Maximilian was so pleased that as a thank you, he gave the people of Bratislava a beautiful fountain in Hlavné námestie (The Main Square). The fountain is still functional today. The decision to relocate the coronation ceremony to Bratislava proved to be a very good one, as the next ten Hungarian kings and eight royal consorts were all crowned here. Among the most famous was Maria Theresa. 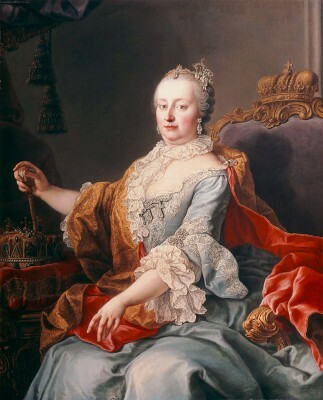 Crowned on June 25, 1741, she made Bratislava the centre of her eastern kingdom during her 40-year reign. The coronation ceremony is reenacted annually in late June. Just like in 1563, it is a time of great celebration. From St. Martin’s Cathedral, the newly crowned monarch parades through the city. Historically, the monarch stopped at the Franciscan Church to dole out knighthoods in the “Order of the Spur” and behind the Michael’s Gate to reassure the people of Bratislava that their “royal privileges” will be maintained. Finally the procession arrived at Coronation Hill where the new Monarch waved his sword in all four directions of the compass, promising to defend his kingdom.